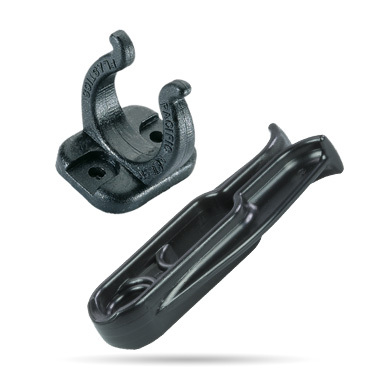 PNP rope clips are designed to hold lines and halyards in place and out of the way while not in use. When deploying the line or halyard, the force of the line will pull free from the clip. Lashing version - designed to be tied or lashed onto shroud bases, mast base, stanchions or bow pulpit. Ideal to usse FSE Robline’s 2 or 3mm Orion 500 Mini spool product or Dinghy Lashing (2mm single-braid Dyneema) products. Cable Tie Version - Designed to attached with two cable ties to shroud bases, mast base, stanchions and bow pulpit.